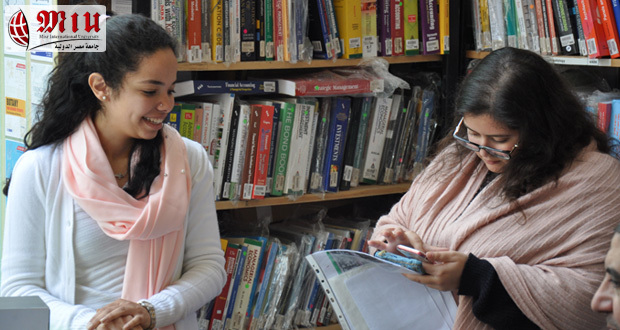 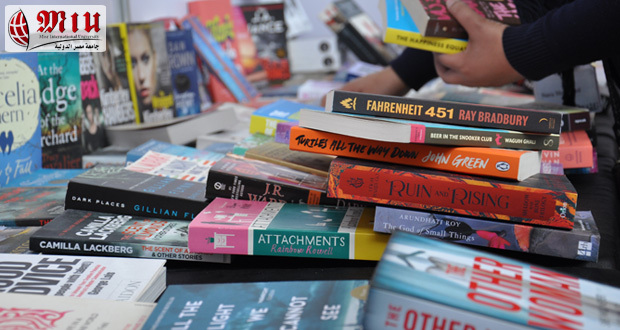 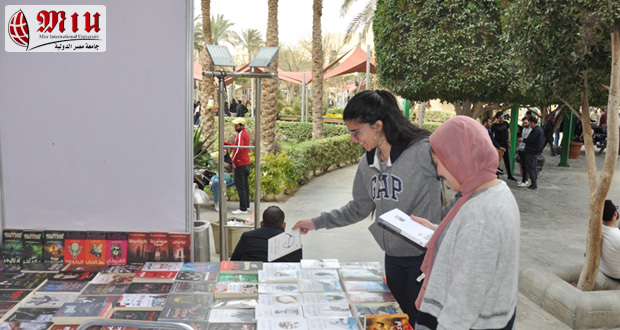 The 8th annual Library Book Fair at Misr International University (MIU) was held from Sunday, March 3, till Thursday March 7, 2019. 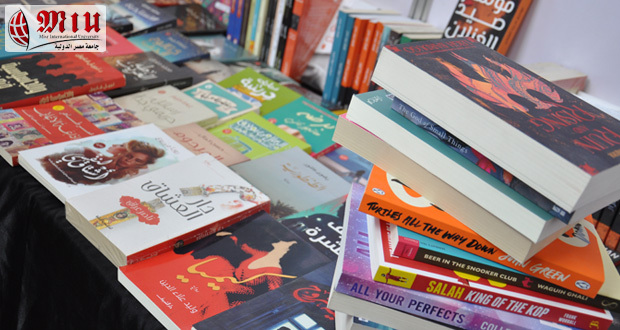 Five prominent private publishing houses: Diwan, Dar El Fikr Al Araby, IMEC, in addition to two book stalls from Soor Al Azbakeya: Maktabet Al Fenoun and Maktabet Al Fateh Al Moubin participated in the fair. 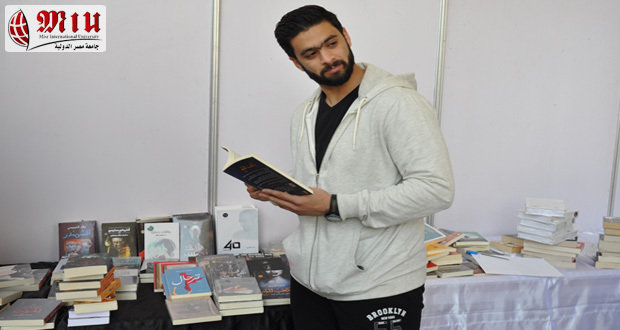 It was the first time for Soor Al Azbakeya to join the university’s Library Book Fair. 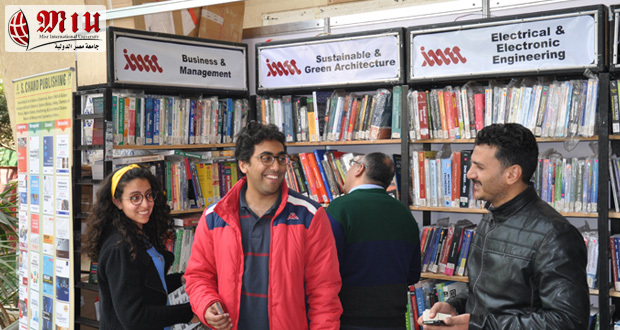 The books displayed included a large number of publications in different disciplines such as culture, business administration, architecture, medicine, literature, and languages.